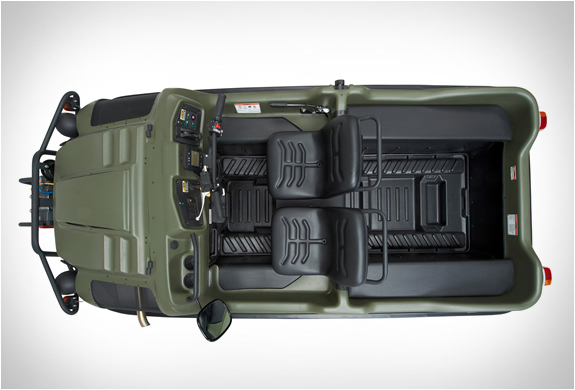 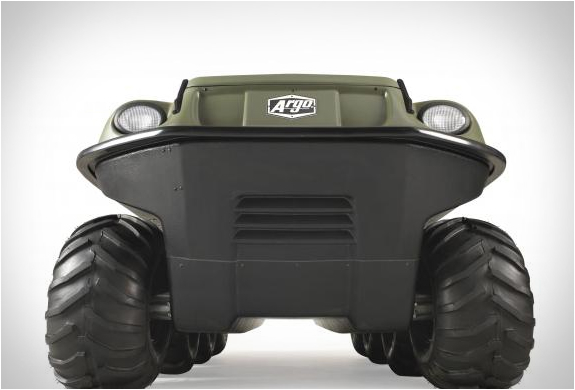 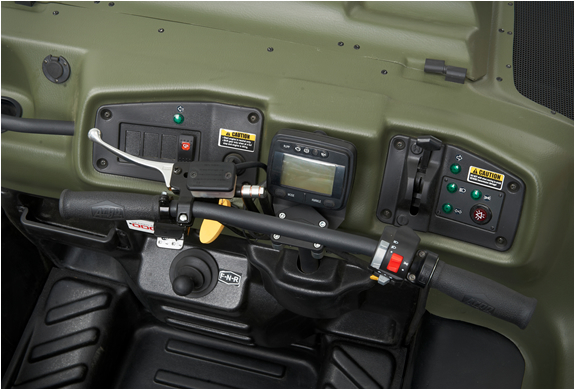 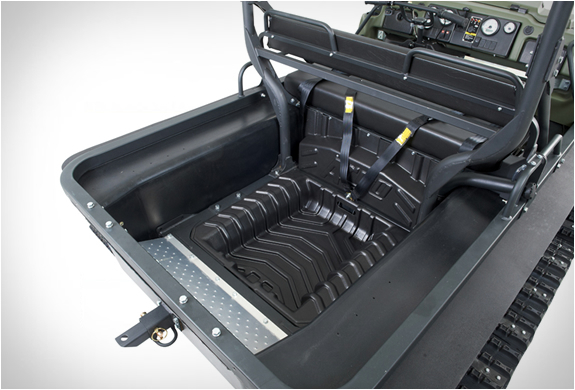 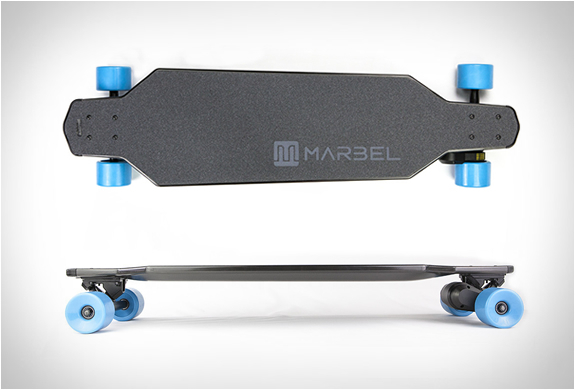 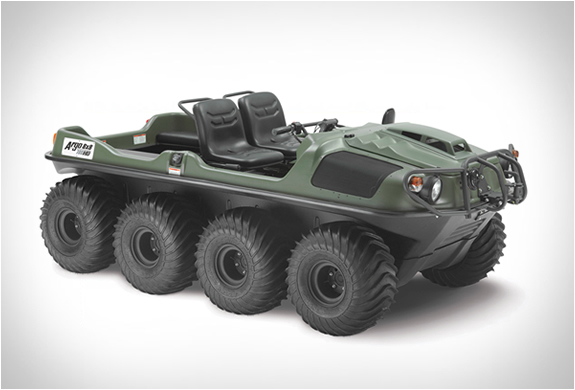 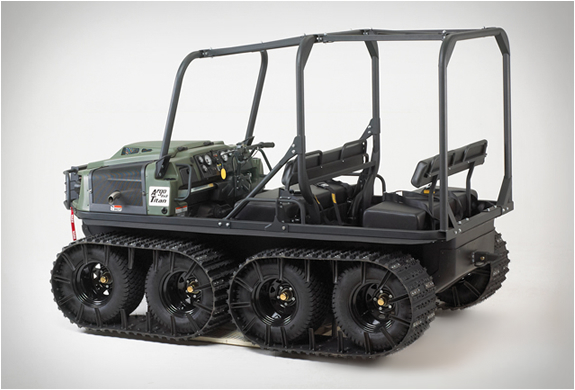 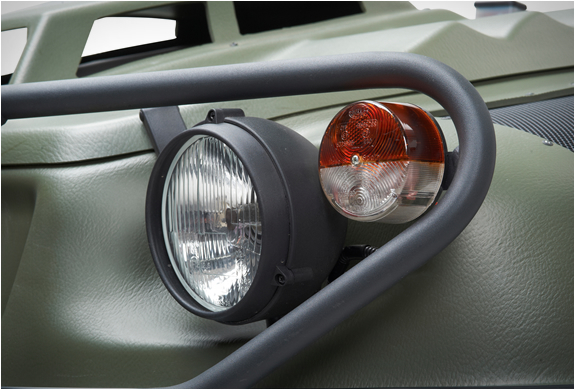 Argo is an extreme all-terrain vehicle that combines all the great features of a tank, an ATV and a boat. 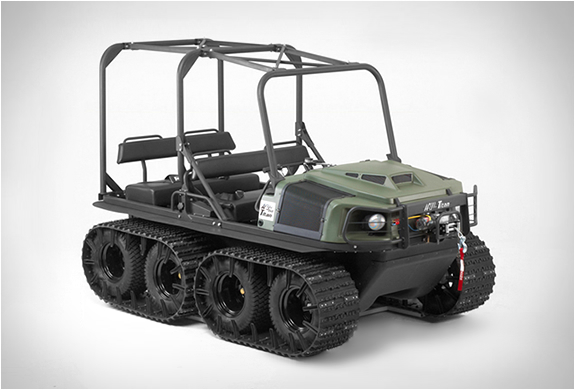 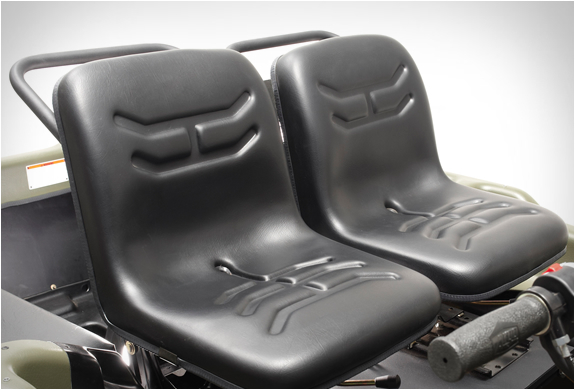 The versatile off-road utility vehicle can easily be customized to suit any application with a huge range of implements and accessories, from rubber tracks, to fully enclosed canvas shell, rear bench seats, etc… allowing it to tackle the worlds toughest environments, climb mountainous hills, cross rivers and lakes, or navigate in thick mud. 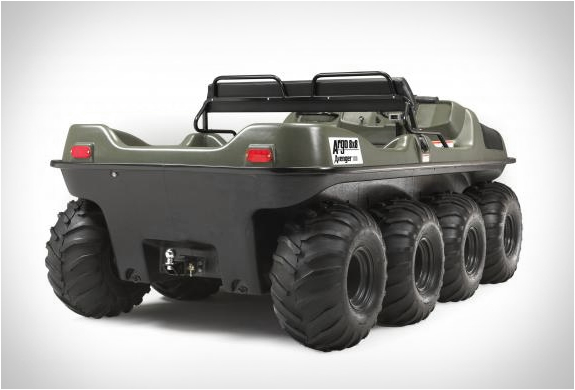 The amphibious beast is available as 8-wheel drive or 6-wheel drive, and can transport 6 passengers on land, 4 on water and features a towing capacity of 1,800 lb.